Commercial space for lease, conveniently located. Flexible office and warehouse space for rent east of downtown Cincinnati. Located off Wilmer Ave in the East End, Precision-Built Corporation's office suites sit just outside the city center and offer an affordable, less hectic alternative to working downtown. Whether you're a small start-up just getting your feet wet or a well-established entity with hundreds of clients, our two different buildings offer a host of options to help your business succeed. Our two buildings are neighbors and have an on-site manager available during the work week. They offer different amenities and conveniences. All commercial spaces can be built-to-suit, which means customization can often be done by us at your expense. Our President is an experienced architect and can help build an office or industrial space that works for you! 4212 offers business and small to moderate-sized warehouse spaces. In all units, we pay for water, snow removal, sewage costs, and, in most instances, heat and electric are included in your rent. All tenants have 24 hour building access and free parking. Our janitorial staff takes care of the common areas, but tenants are responsible for keeping their individual offices clean. 4212 is for the more independent business professional who needs space to work without breaking the bank. By keeping things simple, we pass our savings onto the tenant. 4240 offers business spaces of all sizes. In all suites, your rent covers water, snow removal, sewage, heat, and electric costs. All tenants have 24 hour building access, elevator access, locked mailboxes, and free parking. 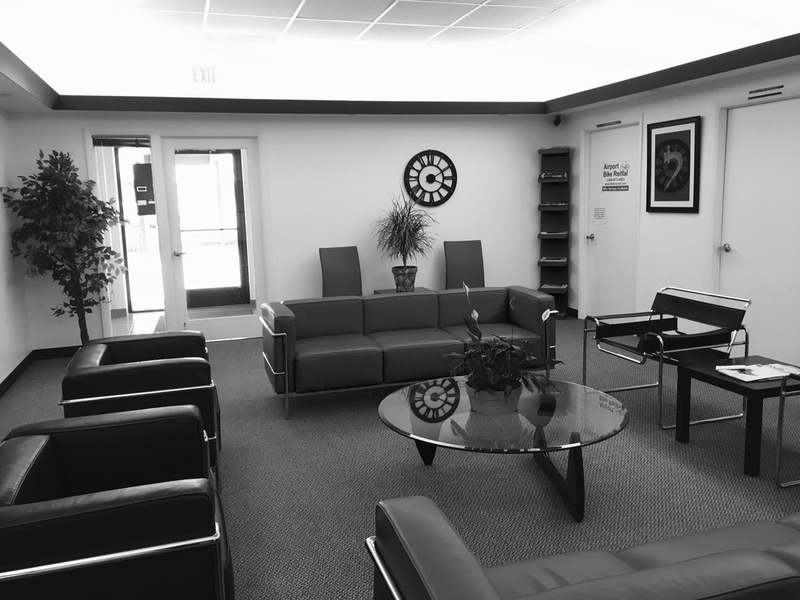 Our janitorial staff takes care of common areas and individual offices three times a week. There are also vending machines, a break room with outdoor patio, and a rooftop deck area for tenants to enjoy. We also offer the use of a professional conference room with presentation technology, and, for an extra monthly fee, tenants can purchase access to affordable, high-speed Internet through our building-wide WiFi network. 4240 is for the more established or client-minded professional, who has a greater need for amenities and a presence. Although we prefer our tenants to be with us as long as possible, we understand that not all good things last forever. Therefore, we offer standard 1 year leases, as well as 2, 3, and 5 year leases. Month-to-month leases are also available for a fifteen percent increase in rent costs. All rental agreements require an initial security deposit equal to one month's rent. Brought more than you need? In 4212, we often have a small storage unit or two available for lease at a modest cost. Units are not climate controlled and tenants provide their own locks. We do not offer large scale storage at this time. which carries with it a number of perks, from the convenience of having Ultimate Air Shuttle and Enterprise Car Rental within walking distance, to the option of spending a nice day biking the trail or picnicking in the park. 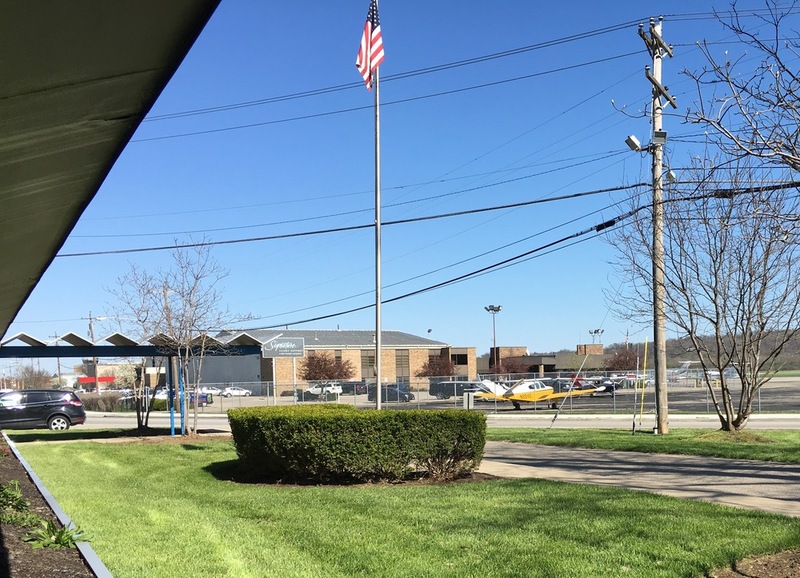 We are also a short drive away from downtown Cincinnati, Rivertowne and Four Seasons marinas, and many popular neighborhoods such as Mount Lookout, Mariemont, and Anderson. Foodies will appreciate having Eli's BBQ, Terry's Turf Club, Green Dog Cafe, and the Lunken Farmers Market nearby, and beer connoisseurs should enjoy trekking across the street to sample offerings fr0m our micro brewing neighbors at Blank Slate.